Archive for the ‘The Story of the Trapp Family Singers’ Category. 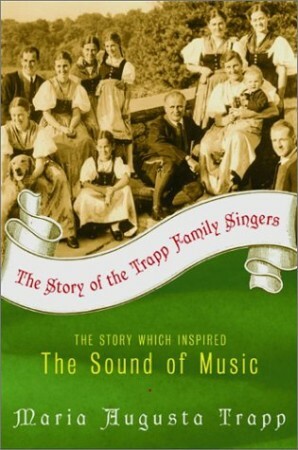 I have a thoroughly new appreciation for that song now that I’ve read The Story of the Trapp Family Singers. Though the movie Hollywoodized (I’m pretending that’s a word) some of “The Sound of Music,” I was surprised to see how true they stayed to the real story. But there’s so much more! If you have any love at all for the movie, I think you would enjoy this book. The real Maria is a hoot and her personality comes through her writing, making the saga of her life seem more like fiction than reality! What touched me most is the way she parented their children with Scripture and truly gave Glory to God at every turn.